The Roseburg Forest Products softwood plywood mill in Coquille, OR is a massive facility - 700,000 square feet - with lots of moving parts. Logs entering one end of the plant are formed into finished plywood through a largely automated production process. Safety is a major concern – whether it is employee safety or the ever-present threat of fire. A new system of wireless alerting transmitters is enhancing safety and improving response times for electricians and millwrights, thus improving efficiency. 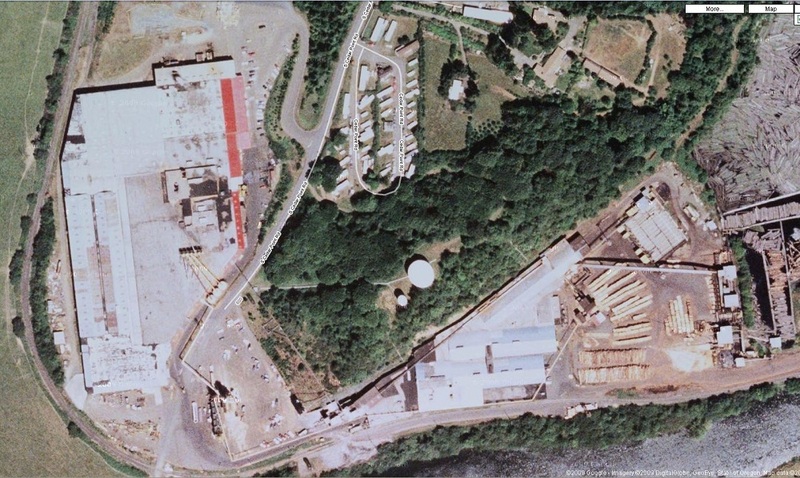 The Roseburg plant has long been a staple in the community. 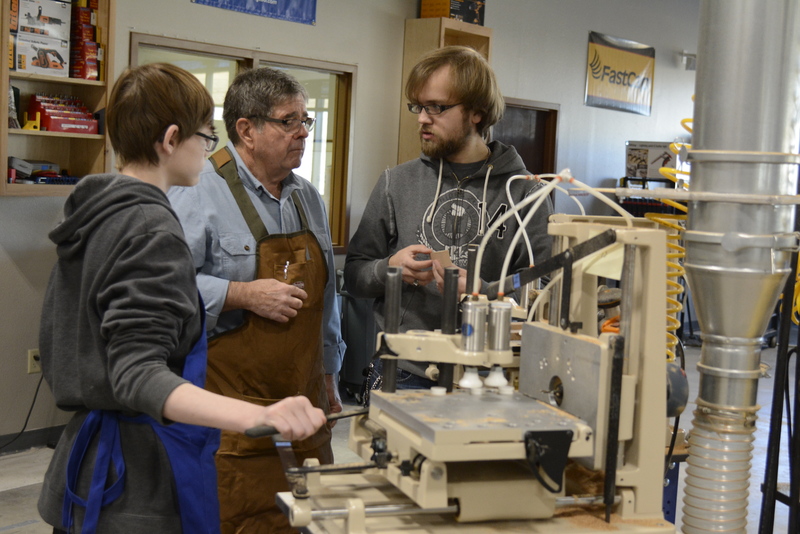 It is common for generations of family members to work here, creating a real sense of community. So safety isn’t just a buzzword. It’s personal. To speed the response to an emergency the company previously relied on a system of 4 hard-wired call buttons scattered throughout the plant. OSHA issued an alert, formall warning that inhaling dust from stone fabrication is a health risk for workers. 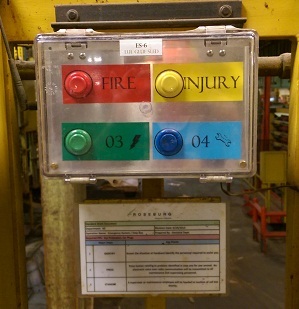 These featured two separate buttons – one for “man down” – indicating an injuring on the plant floor, or “fire” – for a fire. The hard-wired boxes provided a means of alerting radio-equipped personnel to emergencies – but only when they were operational, which as they aged was rather hit or miss. Clearly, something had to be done. “We knew we had to make a change” said plant Technical Manager Pete Carter, “because if one of these boxes went down, then the whole system was down.” The outage might be minor, requiring only a few hours to fix, or it could be major, taking the system out of commission for two weeks or more. To complicate matters, the company that manufactured the original system, Murphy’s Law, has since gone out of business, and no longer supports the equipment. “We sent a transmitter that was acting up to Ritron for evaluation and were pleased with their service,” recalls Carter. In the course of the repair he began discussing his problem with Ritron personnel, who offered several suggestions. The Coquille plant is a vast facility covering 700,000 square feet, filled with a wide variety of automation equipment to transform logs into plywood. Green logs are debarked, then put into a vat and steamed until they are soft enough to peel. 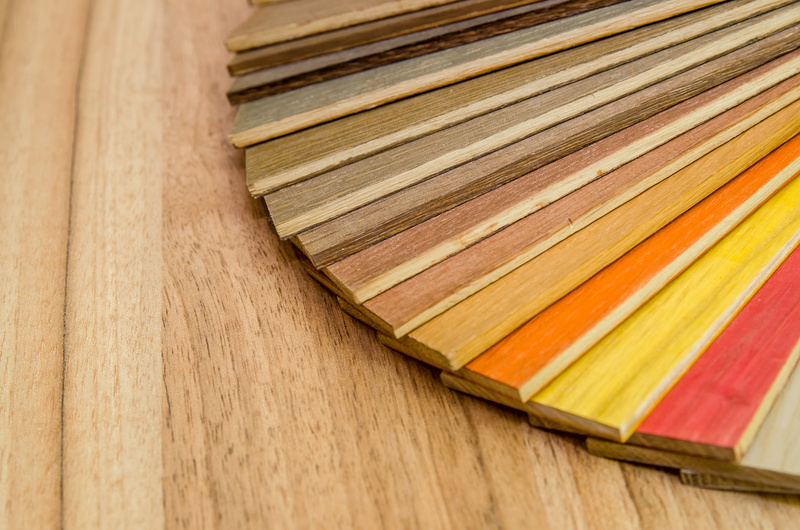 The softened logs are peeled into ribbons of veneer which are clipped into usable size sheets. Sheets are sorted and graded by moisture content and other criteria. This complex process involves veneer stackers, robotic patching, layup lines, presses, sanders, and material handling equipment to keep the whole process moving. 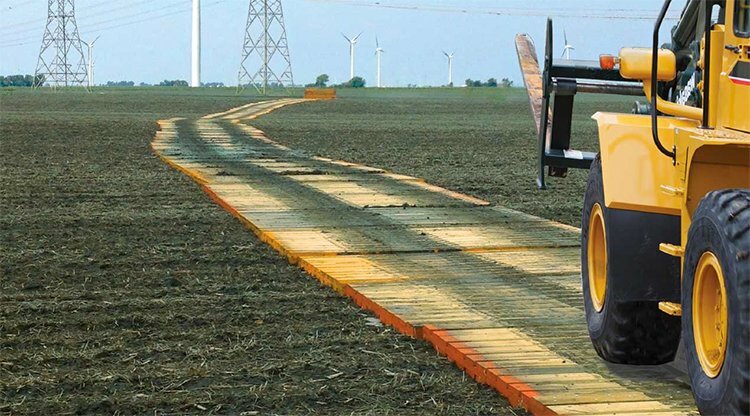 With so much machinery operating, maintenance is an ongoing concern. Quickly alerting the proper personnel and getting them to the area where they are needed, impacts the efficiency of the plant. Since the Ritron Quick Talk transmitter allows up to 4 separate inputs, each with a separate voice message, Carter seized the opportunity to design a box with more capabilities than the previous version. “We integrated the Ritron Quick Talk transmitters into a box, and then externally mounted the antenna. We added a clear cover with 4 buttons – covering the original “man down” and “fire” functions, and then adding buttons for “need an electrician” and “need a millwright.” Each box is self-contained so if one were to become inoperable for some reason, all of the others would still function. Carter works with local Ritron rep Day Wireless based in Milwaukie, WA. Between the RQT, four buttons, the separate box and clear cover, and time/labor, Carter figures he has less than $800 in each enclosure. At that cost, and with the modular design, he can add more locations whenever the need or desire arises. In addition to adding more buttons, and more capabilities (recall that the old system did not allow a call for a millwright or an electrician) to the boxes, Carter also added more boxes. While the old system had just 4 boxes spread out over the facility, the new system has 25 of the upgraded 4-button boxes. The additional box locations mean that all employees are now closer to a call box – since there are so many more of them on the plant floor. Better coverage alerts radio equipped personnel with a more precise location -– thus speeding response. Now, summoning help is easy and clear. Employees can simply press the button marked “send a millwright”. This alerts all radio-equipped personnel, with a pre-recorded message, plus the specific location where the call originated. The stored voice message has no background noise so the transmission is clear and easy to understand. The Quick Talk RQT is an industrial-grade radio transmitter with switch inputs and stored-voice messages that automatically alert radio-equipped personnel. The product includes inputs for up to 4 switches or sensors (or in the case of Roseburg – 4 buttons). When a button is pressed (or a sensor detects a change in condition) a custom pre-recorded voice message is sent along with location information to all radio-equipped personnel operating on that radio channel. Virtually any sensor input can be accommodated, allowing this technology to monitor conditions like emergency button, call button, motion, liquid level, temperature, vibration, power fail, door or window ajar, and many others found within manufacturing environments. Carter is already seeing additional opportunities to use this technology to enhance the operations. They have developed several portable boxes and are going to use them for vendors and delivery personnel use while they are on-site should an incident occur. Given the modular design and stand-alone nature of the Roseburg boxes, they can be easily added should the need arise. Carter is also contemplating deploying the RQT technology in other projects that involve additional sensor inputs. 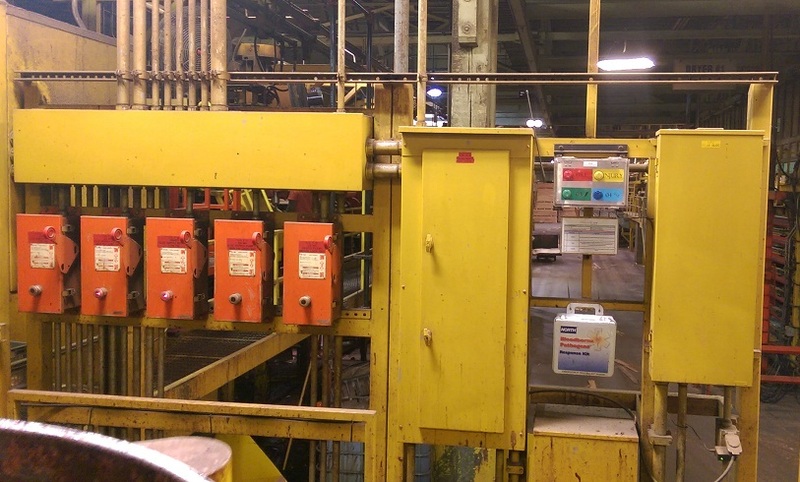 But for the time being, the current Ritron wireless system is earning its keep as a reliable “emergency alert system” for the protection of all employees as well as an efficient, “wireless call system” to improve efficiency and up-time on the plant floor.